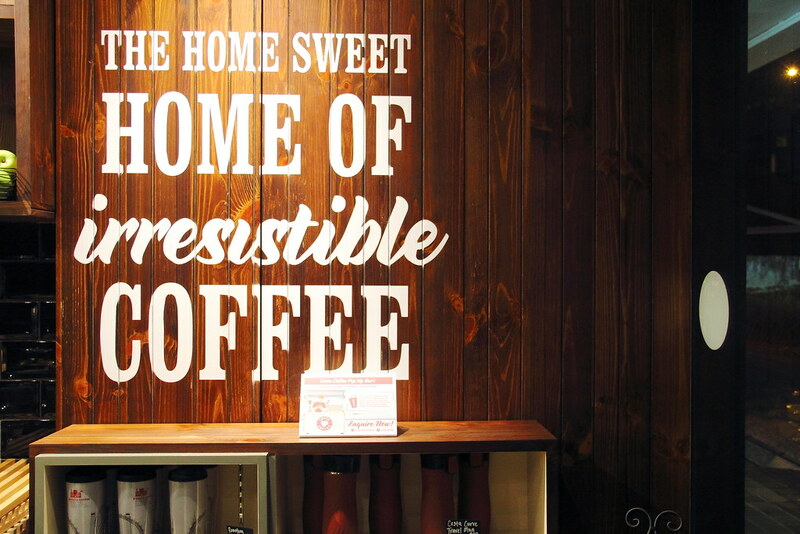 Costa Singapore’s newest flagship store at Holland Village, has launched the brand’s first café style outlet with a hot kitchen, Costa269. That means your order will be made fresh on the spot and not simply grabbing off from the display shelf and pop into the oven or worse still microwave. Apart from offering the classic breakfast favourites, as a London coffeeshop, the menu also draws inspiration from the British's. 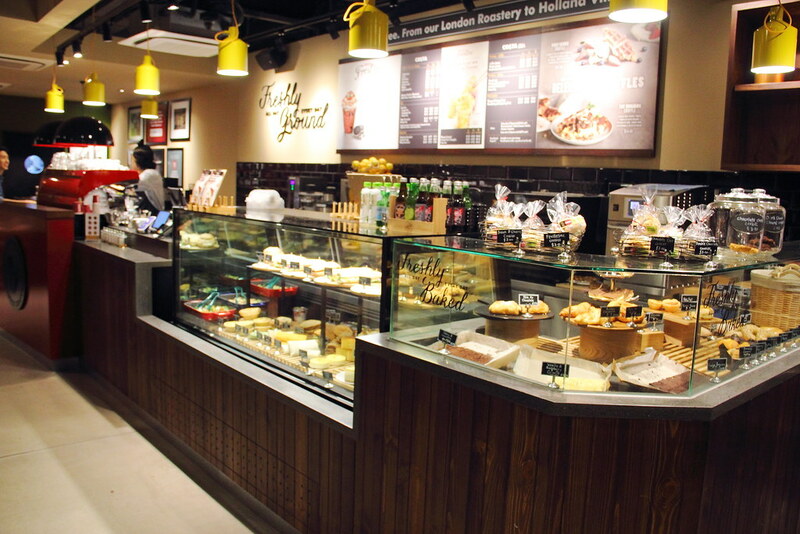 Like any other Costa outlets, the interior of their flagship store is just as stunning. Double storey high, the place is so much more conducive than its neighbouring one. Croissants seems to be the love of our century. Despite tasting just as delicious on its own, it was meld with donuts (Cronuts), before somebody decided to impregnated it with sinfully indulgent lava-ish fillings. This flaky, fluffy and buttery viennoiserie-pastry seems to behold infinite possibilities. Over here at Costa, croissants has once again stretched its boundaries and evolutionized into Croffle, the star of their brunch menu. 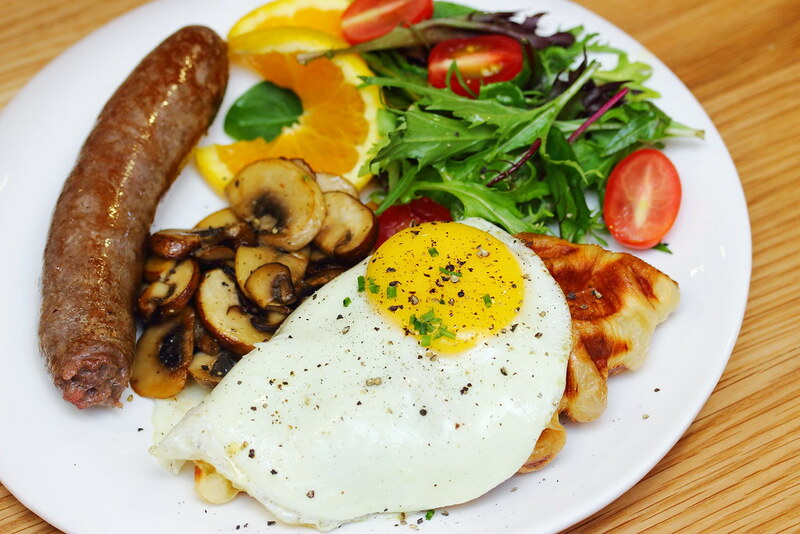 The Great Croffle Fry-Up ($17) embodies Costa’s British heritage - A sunny-side up egg sat atop the croffle, with side sautéed mushrooms and a beef sausage made from ground beef, tomatoes and onions. Though the croffle takes on a waffle persona, I like the fact that its crescent identity remains. I was surprised by the sound of that crispiness as I sunk my cutlery into the croffle, especially at the edges and where the grooves were. Sweet and buttery like croissant with flaky layers, but a relatively denser and chewier body of a waffle. For those who usually find croissant too airy too be satisfying, this could be perhaps the solution to that. Not a preserved meat person, the beef sausage was surprisingly likable, due to its meaty texture that has a rather balanced flavours of sweet and savouriness. Perhaps, I wasn't expecting much from a sausage from a chain café. Fans of fried chicken waffle, this should definitely be in your check list. 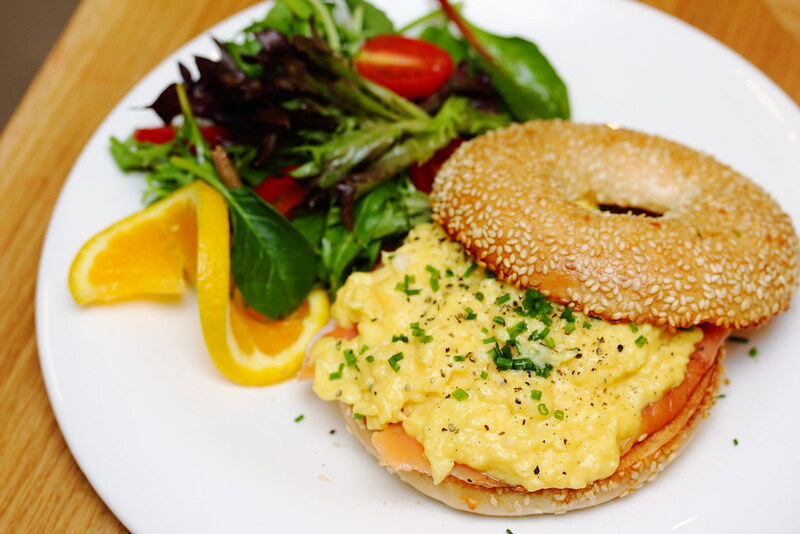 Other classic items such as Avocado on Toast ($11) and The Salmon & Scramble Bagel ($14) are healthy options to go for. I assume that avocado is a pretty pricey ingredient due to its perishable nature, hence seeing it on the menu was surprising. Although it seems to be a plain Jane compared to the others in the list, I like the elegance of it and the fact that I have started off my day, or even ended my day with such clean goodness. I would recommend adding sautéed mushrooms, which were just as good as any other served in bistros. I'm not a fan of bagel as I find given its dense body, the ingredients that come with it are often too little to balance it, which is the case for theirs. The portion of the salmon and eggs need some beefing up. You can also simply skip the typical savoury brunch and head straight to their Very Berry Croffle ($11). 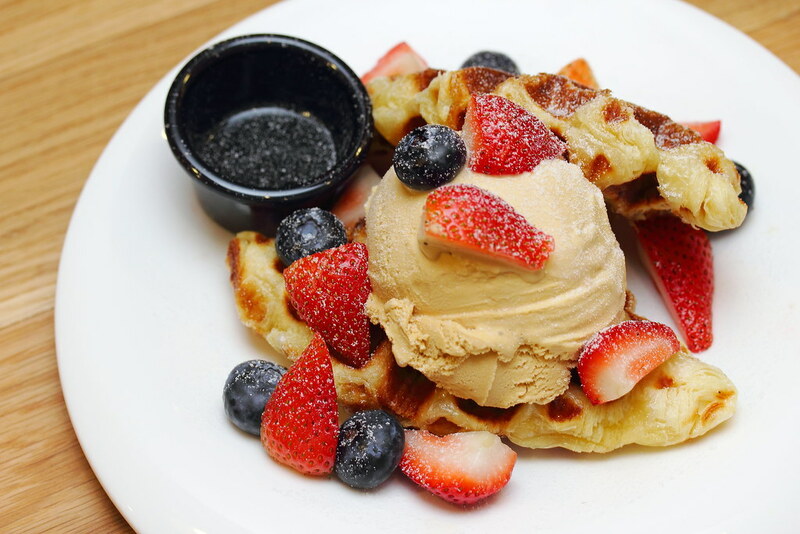 We had our served with an enormous scoop of salted caramel ice cream (you can also choose chocolate or vanilla), and topped with sliced strawberries and blueberries dusted with icing sugar. The croffle remains quite crispy under the icy cold ice cream, unlike waffles which tend to become soggy after a while. The combination of the ice cream, berries and the flaky, buttery croffle was quite divine. It would have surpassed my expectations more if it is served with a berry-based sauce rather than a ordinary maple syrup. Afterall, it is called very Berry, and especially when they have a hot kitchen to do it. 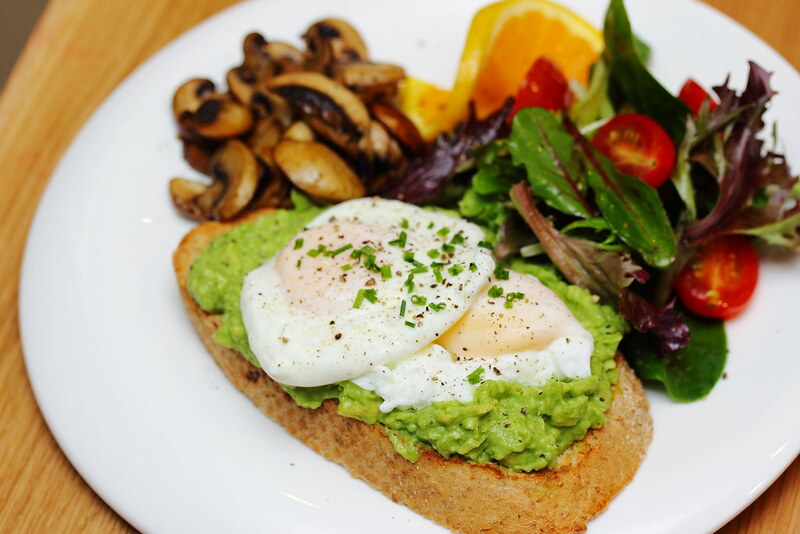 Compared to their ready-made items, this brunch menu is definitely many times more enticing. 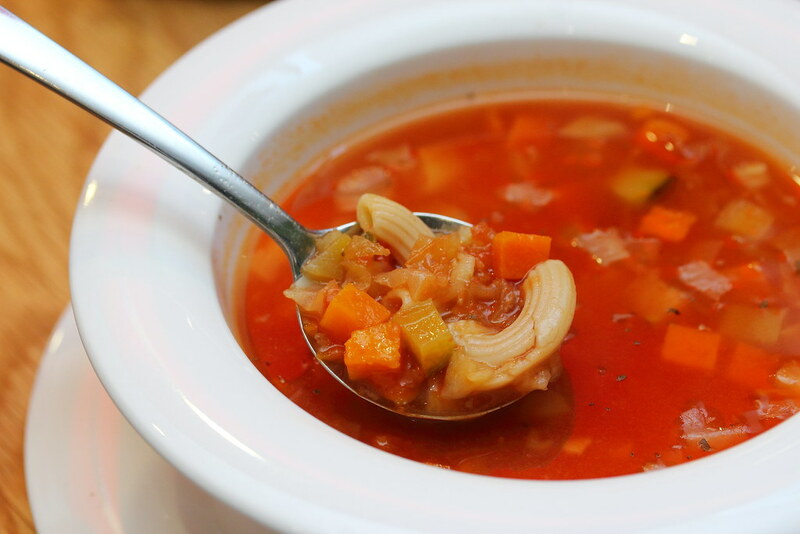 I thought the hot kitchen is slightly under utilised with their current range, before I got to know that the outlet will soon be introducing new items like craft beers and a grill-led menu. As a testbed for their future stores and given the location which they have chosen, the success of this concept will definitely positioned them a level higher than its competitors.